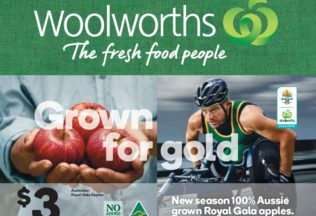 Woolworths has launched a new marketing campaign centred around its sponsorship of the 2018 Gold Coast Commonwealth Games. The new Grown for Gold campaign will draw parallels between quality Australian produce and how it helped grow some of the country’s best athletes. Athletes including Kurt Fearnley and Georgia Sheehan will feature in the campaign. Woolworths Director of Marketing, Andrew Hicks, said Grown for Gold is an authentic, emotional look into the lives of Australian athletes. “It showcases where they’ve grown up, the people that have moulded them and the food that has fuelled them to make them into the great sportspeople that they are today,” Hicks said. The Gold Coast Commonwealth Games will be held between 4 April – 15 April 2018.